1887 A Denver priest, two ministers and a rabbi recognized the need for cooperative action to address their city’s welfare problems. The Rev. Myron W. Reed, Msgr. William J. O’Ryan, Dean H. Martyn Hart and Rabbi William S. Friedman put their heads together to plan the first united campaign for ten health and welfare agencies. They created an organization to serve as an agent to collect funds for local charities, as well as to coordinate relief services, counsel and refer clients to cooperating agencies, and make emergency assistance grants in cases which could not be referred. That year, Denver raised $21,700 and created a movement that would spread throughout the county to become the United Way. Over 118 years later, United Way is still focused on mobilizing the caring power of communities and making a difference in people’s lives. 1887 In Denver, religious leaders founded the Charity Organizations Society, the first "United Way" organization, which planned and coordinated local services and conducted a single fund-raising campaign for 22 agencies. 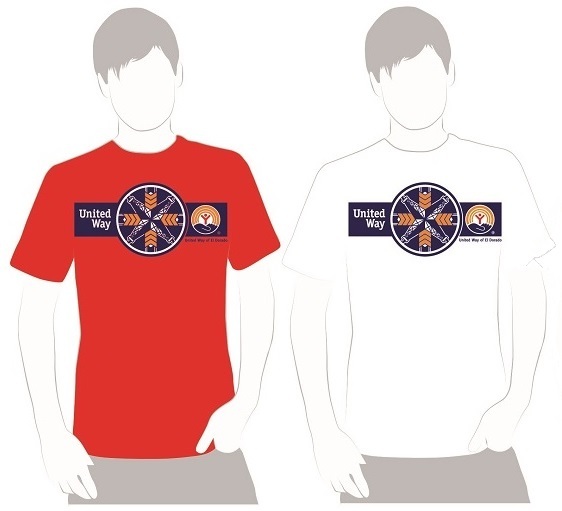 1888 First United Way campaign in Denver raised $21,700. 1894 Charitable institutions became exempt from the first federal act that imposed a tax on all corporations organized for profit. 1913 The nation's first modern Community Chest was born in Cleveland, where a program for allocating campaign funds was developed. 1918 Executives of 12 fund-raising federations met in Chicago and formed the American Association for Community Organizations (AACO), the predecessor to United Way of America. 1950s This year began a 10-year growth period in the number of Community Chests: 39 in 1919; 353 in 1929. 1948 More than 1,000 communities had established United Way organizations. 1971 United Way of America moved from N.Y., City, New York to Alexandria, Virginia. 1973 The NFL and the United Way establish their partnership to increase public awareness of social service issues facing the country. In addition to public service announcements in which volunteer NFL players, coaches and owners appear, NFL players support their local United ways through personal appearances, special programs, and sitting on United Way governing boards. 1974 United Ways raised $1,038,995,000 in America and Canada - the first time in history that an annual campaign of a single organization raised more than $1 billion. United Ways undertook with the National Football League (NFL) the largest public-service campaign in the nation's history; a major part of that campaign was Great Moments, the televised United Way/NFL public-service announcements.United Way International was formed to help nations around the world form United Way-type organizations. 1981 United Ways raised $1.68 billion, a 10.1 percent increase over the previous year. This figure represented the largest single-year percentage increase. 1982 United Way of America's new National Service and Training Center opened in August, increasing the organization's ability to assist the nation's 2,200 United Ways. 1987 United Way recognized its centennial by saluting the America volunteer through many programs, including dedication of a United Way postage stamp by the U.S. Postal Service. 1991 During the Persian Gulf War, a fully staffed Operations Center at United Way of America worked closely with other organizations to ensure that those in need received help. 1992 William Aramony resigned as president and Kenneth W. Dam served a interim president and chief executive officer.Former Peace Corps Director Elaine L. Chao was selected as United Way of America's president and chief executive officer: the first Asian-American and first female to assume this position. 1993 A national conference on Block Grants, hosted by United Way of America, provided valuable insight to nearly 250 attendees on the past and future performance of block grants, focusing on their implications for United Ways, their agencies, and the people they serve. 1994 United Way of America was selected by Financial World magazine as the charity of choice in 1994 for its leadership in not-for-profit ethics and accountability. 1994 marked the first year of United Way of America's Quality Awards, modeled after the Malcolm Baldridge National Quality Awards. These awards recognize United Way organizations that demonstrated measurable progress in customer satisfaction, accountability and productivity. United Way of Allegheny County, Pittsburgh, PA, United Way of the Piedmont, Spartanburg, SC, and United Way of Southeastern New England, Providence, RI, were the first recipients of this prestigious award. 1995 The Atlanta Committee for the Olympic Games (ACOG) announced its selection of United Way of America and the United Way system as the primary provider of community support and volunteer services for the 1996 Olympic Torch Relay. In its role, United Way was responsible for assisting ACOG with the selection of torchbearers, organizing community celebrations to greet the arrival of the Olympic Flame, and coordinating volunteers for those functions. United Way of America's Board of Governors unanimously approved the adoption of Strategic Direction for United Way: Charting the Path for Building Better Communities. 1996 United Way of America developed two Internet products, United Way Online for local United Ways and a website for the general public.Betty Stanley Beene was selected as United Way of America's new president and chief executive officer. Prior to her selection, Beene served as President and CEO of the Tri-State United Way. 1997 Betty Stanley Beene assumes the position of President and CEO of United Way of America. 1998 In 1997-98 campaigns, United Ways collectively raised $3.4 billion, boosting revenues by more than $150 million for a 4.7 percent increase over 1996-97 levels. 1999 Bank of America Foundation donates $50 million over 5 years to local United Ways in 22 states where they conduct business to support United Way's Birth to Work Agenda, previously called Success by 6®. 2000 United Ways embark on a national brand management strategy designed to differentiate United Way brand and system. The strategy helps to reposition United Way as more than a "fundraiser," but rather as the leading community impact organization. 2001 In January Betty Beene concludes her service as UWA President. UWA Chief Administrative Officer Chris Amundsen is appointed as Interim President. SubmitIn response to terrorist attacks at the World Trade Center in New York City, the Pentagon in Washington D.C. and Somerset County, PA, the United Way of New York City and the New York Community Trust establish the September 11th Fund. The purpose of the Fund is to mobilize financial resources to respond to the pressing needs of the victims, their families, and communities affected by the tragedy. Four months after its establishment, donations to the September 11th Fund total more than $425 million. In December, the preliminary report of the Task Force on Strengthening the United Way System--Rising to the Challenges--is presented to UWA's Board of Governors and the United Way system's National Professional Council (NPC). The proposed mission statement, "to improve lives by mobilizing the caring power of communities" and vision statement are adopted by UWA's Board of Governors and strongly endorsed by the NPC. 2002 In January, Brian Gallagher assumes the position of United Way of America president and CEO. A 20-year veteran of United Way, Gallagher was president of the United Way of Central Ohio in Columbus, the 16th largest United Way in the country. Gallagher becomes UWA's fourth president, succeeding Betty Stanley Beene, whom concluded her service to United Way on January 31, 2001. 2003 New Membership Standards for member United Ways that are designed to enhance the level of accountability and transparency in United Way operations are overwhelmingly adopted. United Way of America launched its brand "what matters. TM" advertising campaign. "what matters. TM" is an articulation of the commitment United Way has to creating meaningful and tangible impact in communities across America. 2004 In response to the devastating hurricanes that ravaged the state of Florida, United Ways throughout Florida lead response and recovery efforts by identifying the most serious needs in devastated communities. The Florida 2-1-1 Network responded to thousands of telephone calls directing victims to services such as shelters, food, medical assistance, disaster preparedness and response activities, post-disaster assistance, and recovery information. Local 2-1-1 operators also matched volunteers with opportunities to give help in affected communities. The tragic tsunami that struck South Asia focused attention on that area of the world. The United Way Coordinated Crisis Response Team worked collaboratively with other United Way organizations throughout the world to respond to the disaster. 2005 First adopted in 1973 and last updated in 1988, United Way of America updates its Standards of Excellence. In conjunction with Civitas and the Ad Council, United Way of America introduces Born Learning, an innovative public engagement campaign designed to provide parents and caregivers with the resources they need to create quality early learning opportunities for young children. 2006 United Way of America and MTV created Storm Corps, an Alternative Spring Break program that invites young people to help United Way rebuild the Gulf Coast after the devastating hurricanes of 2005. Nearly 100 young adults traveled to Biloxi, MS, and Foley, AL, to assist with rebuilding and recovery efforts. 2007 The United Way Financial Stability Partnership™ was introduced. The national initiative will empower low- to moderate-income people to achieve long-term financial stability that leads to independence. United Way annual revenue topped $4 billion for the first time, continuing its status as the nation’s largest charity. 2008 United Way introduced the bold goals for the common good focused on education, income and health, and LIVE UNITED, a new call to action for everyone to become a part of the change. 2009 United Way International and United Way of America came together to create United Way Worldwide, the largest privately-funded nonprofit in the World, with more than 1,800 United Ways in 41 countries and territories. 2011 United Way Worldwide signed a partnership agreement with the China Charity Federation increasing the reach and ability of the worldwide organization to create opportunities for a better life for all. The organization also launched its U.S. volunteer call to action with the goal of recruiting one million volunteer readers, tutors and mentors to advance United Way education goals. 2012 United Way celebrates its 125th anniversary and enters into partnerships with CNN and CNN international to share the LIVE UNITED message in communities around the world.